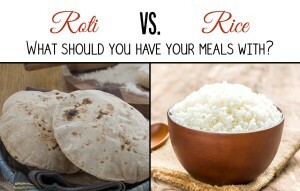 Fibre: rice have less fibre and roti’s are rich of fibres. Health benefits of roti: reduce the risk of coronary artery disease, cancer diabetes and obesity. Due to their slow digestibility. easily digestive capability rather than roti. rice with excess water also drains off most of the nutrients. so energy value is 360*5=1800 Calories (RDA is 2000 calories) with the mix of curries it can be 2000 calories or more. I don’t know how much wheat flour needed to make 1 roti / chapati? how many roti’s per 100grmas of wheat flour? How to calculate Roti calories? increase protein by soya flour or gram flour. Also, check how to cook perfect mutton curry. Great tip: Always mix the diet in a week /day to get proteins and vitamins & minerals which are very less in the reuglar diet. wheat bread and rotis without oil, butter and ghee and with any sabji. Atleast 2 fruits in a day and 8 glasses of water.walk for half an hour in the morning and 20 minutes before dinner to keep our metabolism active also prefer green tea sugarless coffee and tea 3 times per a day. also, check lose weight program on this blog. Update with more info shortly.